Thanksgiving is approaching rapidly! I don’t know what it is about late fall, but I always feel like time speeds up around this time. Not long ago, I was waiting for it to be September because I just LOVE fall, then I enjoyed a long fall season here in Germany, and suddenly it’s mid-November and temperatures are dropping and dropping! I’m even in the mood for Christmas already! But before I jump the gun with Christmas posts, I’d like to share this Thanksgiving Matching Game for Toddlers with you! (N was 2 years and 4 months old). 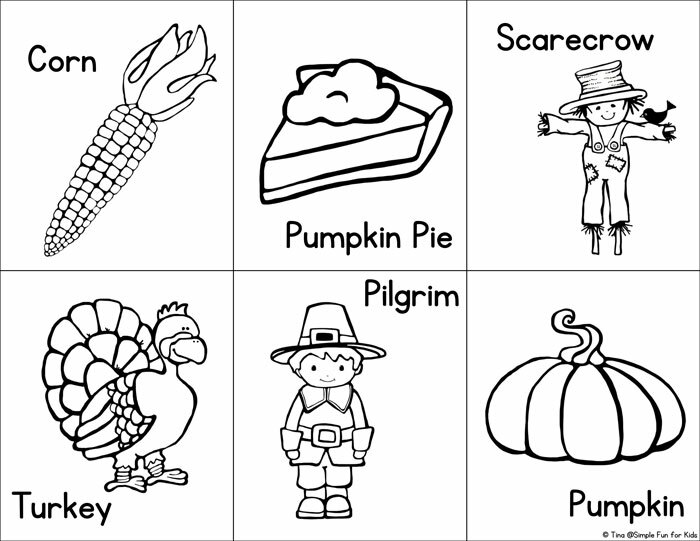 The file contains two pages of Thanksgiving-related images, one page in color and the other page in black and white. 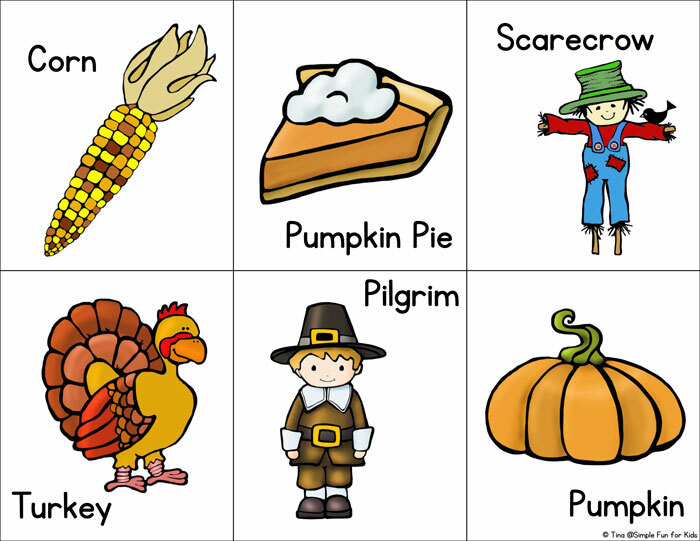 I used the following images: Corn, pumpkin pie, scarecrow, turkey, pilgrim, and pumpkin. Each card also includes the name of what’s shown in the image. With the colored and black and white versions, you have different options for preparing and playing the matching game. You can print two copies of the same page or one copy of each version. Cut apart one or both copies at the black lines and have your kids match the images. You can play with cards face up or face down. Or have one copy of each image on the table and a stack of the rest of the cards in your child’s hand. 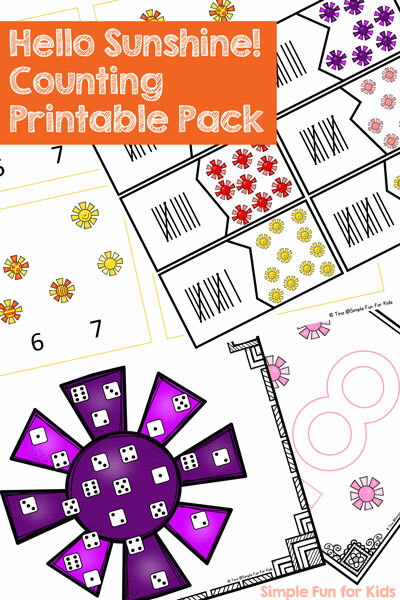 If your child is ready, play a full memory game. Matching the colored images to the black and white version is definitely more of a challenge to N (at almost 2.5) than matching two copies of the colored images. See how your kids do with it! 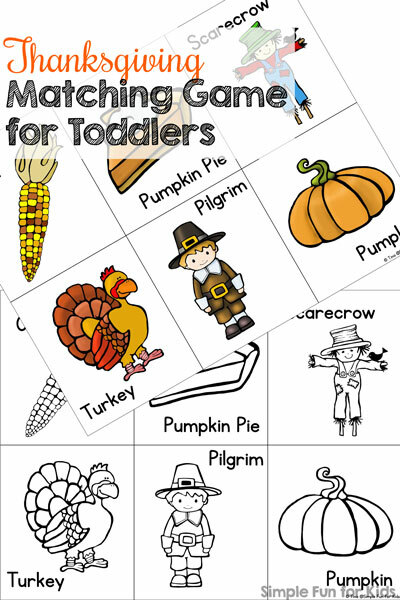 Download your Thanksgiving Matching Game for Toddlers! My Thanksgiving Cutting Practice Puzzles use the same set. Are your kids working on counting? Click on the image to check out my ebook! Looking for more simple Thanksgiving activities for toddlers? I’ve found a few for you! Play Dough Turkeys by Mama. Papa. Bubba.